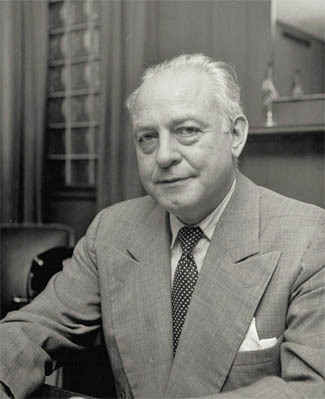 North American Aviation was led by James H. “Dutch” Kindelberger. He was the son of a German-American steelworker. In 1934, North American Aviation asked him to take over as president, and Kindelberger rapidly turned the company into one of the world's leading aircraft manufacturers. By 1941, Kindelberger had developed mass production techniques for airplanes and North American Aviation was able to produce more than 41,000 planes in World War Two. Reshaping his company's mission in the post-war era, he pioneered U.S. rocket research in the 1950s. Kindelberger, known to all his friends as “Dutch,” built more planes during his lifetime than any other man in history. Kindelberger and his wife Thelma had two children. A daughter Joan, and a son Howard, who died however in 1940. In 1949, Joan married with Ralph W. Graham and together they had one son, James. Grandson James Kindelberger Graham has written a striking foreword in this book. He says: Many hundreds of fine books have been written about the “warbirds” of World War Two, dealing with the specifications, design fundamentals and flying characteristics of each. Many more have dealt with the brave men who flew and fought in them. 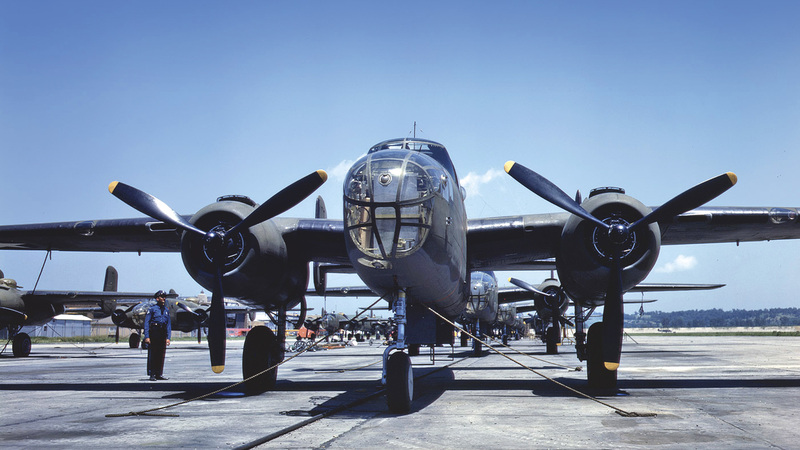 But in B-25 Factory Times, author Wim Nijenhuis has finally brought forth a volume which celebrates the talented men and women who designed and produced the airplanes that helped turn the tide for the Allies. It is the story of not only the gifted engineers who used their talents to design and constantly improve the plane, but also the manufacturing specialists whose efforts resulted in ever more efficient ways of producing it, as well as the ordinary civilians who, by the thousands, worked in the defense industry for the first time in order to make a paycheck and help win the war. With meticulous research and many contemporary photos not seen in years, B-25 Factory Times is a compelling and most readable testimony to the incredible contribution, born of necessity, with lives at stake every day, made by the men and women of North American Aviation during the Second World War, according to Kindelberger Graham. 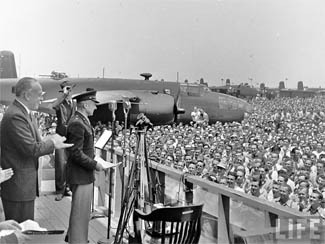 Kindelberger together with General James Doolittle at the Inglewood plant in 1942.